When it comes to roofing, Ravensworth Roofing is the name you can trust to delivery quick, attractive and cost friendly services in the Horsforth area. Our attentive team is ready to assist you in all your needs and requirements, offering free, customised quotations. It's not every day that you need to call on a the services of a roofer. You may not know who to call in your local area, or indeed who to trust. With us, you get a company who are dedicated and committed to keeping the great reputation we've worked hard to earn in Horsforth ever since we formed the company in 2011. If you notice damp on your ceilings, see flaking or crumbling tiles on your roof, or if you've had a slate or tile slip after stormy weather, you should pick up the phone and call us. Fibreglass Roofing – For that sleek and untouchable look, fibreglass roofing is the choice for you. Rubber Roofing – Extremely durable and cost effective, our team is ready to assist you with your rubber roofing needs. Slate and Tile Roofing – A timeless favourite, our team has endless experience with the ever-popular slate and tile roofing. Roof Repairs – No matter whether the job is big or small or expertise will guarantee you’re satisfaction with the end result. Re-roofing – From small repairs to major renovations our team can be relied on with your personal requirements. Built up Felt Roofing – with customer satisfaction guaranteed, we will bring your vision to life. 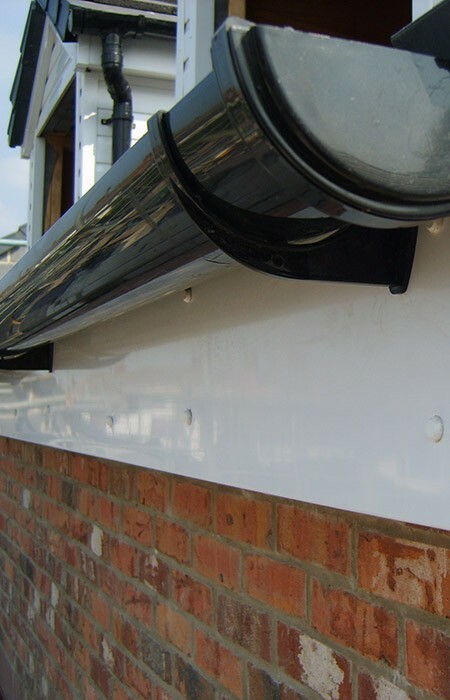 Soffits and Fascias - Whether it be maintenance or installation, call us for your Soffits and Fascias needs. Velux Windows – Instantly transforming a room to appear more spacious and allowing natural light in, velux windows are becoming increasingly popular with our customers. Chimney Repairs – No repair is too big or too small for our experienced team. With your happiness and satisfaction being our number one priority you can rely on us to deliver your personal needs and wants in a stress-free manner. Call now for a free, no obligation quote on 0113 370 8440.